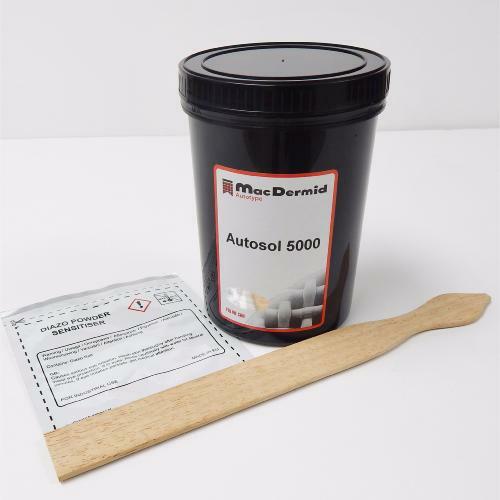 Autosol 5000 is a universally resistant, high quality direct emulsion for a wide range of screen printing applications. Used by screen printers of plastisol, water based and discharge inks to print onto garments, jute bags, wallpapers and fine arts. This emulsion reclaims well, gives a fantastic screen stencil and has excellent print durability.